If we are to make disciples of all nations (Matt 28:19) it will take faithful, dedicated, and mature saints to encourage, equip, and empower those who follow us. If we are to see the full turn-around of this nation that so many are praying for, it will require fathers and mothers rising up and taking their place. To many, God says, “You’re not done yet! !” So, unpack your bags and settle the fact that heaven has need of you. Where most of us only look to the next five or ten years of our lives for vision and purpose, God looks much farther. The God of both testaments consistently looks for a generational inheritance that spans at least three generations. In order to firmly establish a national godly foundation with roots that are healthy enough to grow, mature, and bear fruit, it requires an intergenerational contending so that an entire culture is transformed. It is said in the book of Jasher that Abraham lived with Noah and his son, Shem, for almost forty years. Could this be why God saw fit to choose Abraham to be a father of nations (Gen 18:19)? He was mentored and discipled by his forefathers for four decades! Though Abraham is said to be the “father of us all” (Romans 4:16-17), his faith was not born in his own lifetime, but was a continuation of a faith that spanned over eight generations of God-fearing men and women in covenant with Yahweh. The nation that Abraham birthed was the result of walking alongside and being discipled by faithful fathers – for years. 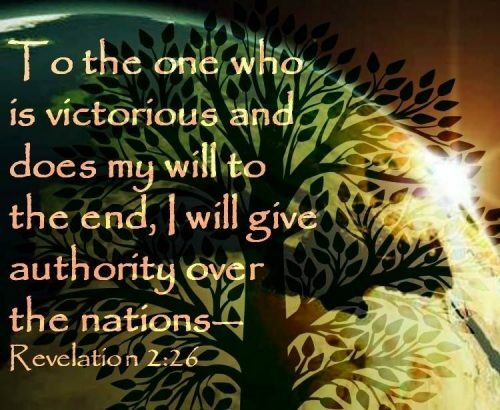 That which we have fought for, battled for, and persevered for – must be instilled within future generations if we are to see the Kingdom of God manifest fully on the earth before His return. Without the younger generations receiving the wisdom, insight, and guidance from those who have gone before, we will continue to wander in the wilderness as a nation and never live the legacy God intends. Without the faithful intercession and engagement of seasoned saints, the Church’s prayers will be limited and the Ekklesia incomplete. For those who doubt their ability to continue standing in the gap to steward this mandate, God wants to give a new weapon for intercession. For those who have carried heartache or disappointment from unmet expectations or unfulfilled dreams, God wants to mantle you with a new faith and perspective to empower your next season. Though some intercessors have been called into times of travail in the spirit and weeping for the lost, there are also many whom the Lord is calling forth with the weapon of joy and laughter as a weapon against the enemy. This is not any human-induced demonstration of laughter, but a Holy-Spirit mantle of absolute faith and confidence in the King that can laugh in the face of pure evil. In previous years, the Lord poured out a gift of “holy laughter” on the body of Christ. Its purpose was to diffuse and unseat a Religious Spirit that was taking over the Church. It was a demonstration of His character, and reminder of the fruit of the Spirit for us as believers. However, the joy in this season is not for ourselves. It’s for others as we stand in the gap of prayer together, displacing the demonic strongholds that are seeking to devour our nation through fear and terror. It is fueled by faith and releases supernatural power to depose principalities. For those who have held back their engagement in the heavenly places of prayer and intercession because of past heartache and heaviness, the Lord is offering a new mantle of joy and praise to unseat the Adversary. You do not have to carry the burden of yesterday’s griefs or the sorrow of unanswered prayers. Jesus already did. Do not dread the coming tribulations or fears of the unknown. The Righteous Judge is issuing an invitation into the courts of heaven to present cases before the throne with absolute confidence in His Word, His Power, and His Purpose. He is offering an opportunity to come alongside the rising sons and daughters of faith who need your perspective, your counsel, and the legacy you carry. Where your accuser has sentenced you with a spirit of heaviness, the Judge is now rendering a new verdict of JOY for the future. Through the victory of the cross, you can move forward with great freedom and anticipation of what He will do through your faithful partnership in the Kingdom. The Lord says, “I have need of you!” For those who answer the call, your legacy will not only be assured, but your reward will be recorded for generations to come. What a delight to come across your site and read hear what the Lord is saying.. We are writing to you from Italy where we are running the Italian House of Prayer. We pray for America & Pres.Trump and believe in our hearts that God has raised him up for a time such as this… I come from Zimbabwe and my wife is Russian, so we have our own deep rooted situations within our nations which we are so keen to view from a prophetic view point. God bless you, we look forward to hearing more from you, thank you. the Lord speak through you.I HAVE NEED FOR YOU. So I unpacked my baggage to influence the new generation. Amen and hallelujah! Lord, let there be remantling, recommissioning, redirection, refreshing and in some cases, rebooting! Cause the Calebs to arise and run toward their mountain. Cause these latter days to be greater than the former. Let us press toward the goal. Let us attain our high calling. Let us take hold of that for which we were taken hold of. Victory is assured!